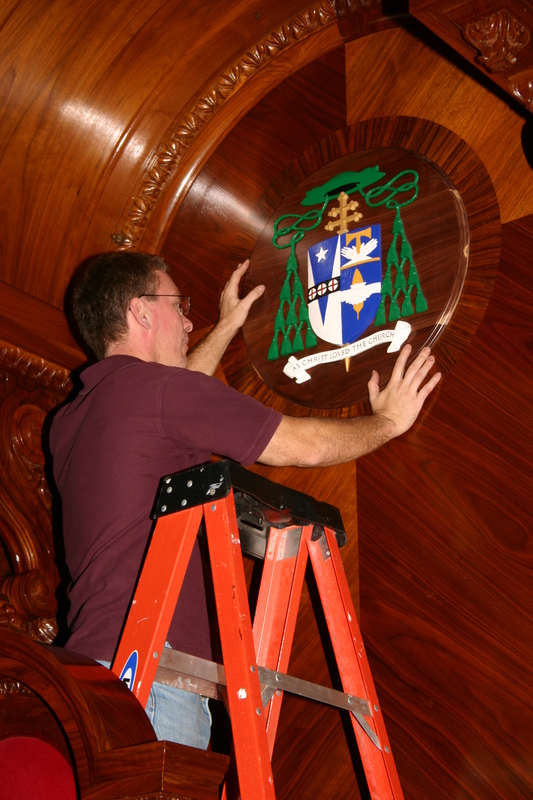 Ed Moore installs Archbishop Charles Chaput's coat of arms above the cathedra in the Cathedral Basilica of SS. Peter and Paul. Ed carved the Archbishop's coat of arms.